According to a study reported on by Slate, roughly 38% of people who click on an article or blog post online don’t actually make it past the headline. Of those that remain, a further 5% only ever read the first paragraph – IF they don’t have to scroll, that is. If they do have to scroll, they don’t even make it that far. A study from The Washington Post confirms this – only 41% of people in the United States said that they invested the time in consuming any in-depth content in the last week, even if that content was on a subject they were actively interested in pursuing. As marketers, this presents something of a challenge, to say the least. Quality content is more important than ever, as marketers all over the Web strive to “one-up” each other in terms of the value they’re able to provide – both in terms of what users are looking for AND to satisfy the needs of entities like Google. So how do you check off both of these boxes at the same time, so to speak? Thankfully, the solution is simple – you lean heavily on the principles of visual communication and data visualization to repackage your marketing message in the form of stunning presentations and Infographics, the likes of which people can’t seem to get enough of. The most important thing to keep in mind in that regard, however, is that the chasm between an Infographic and a high-quality, successful Infographic is a deep one indeed. If you truly want to design the perfect Infographic that will capture the attention of your target audience, you’ll need to keep a few key things in mind. The number one thing to understand about designing successful Infographics is that it cannot just be “a bunch of stats or other figures arranged visually on a page.” Infographics, like any other marketing collateral, are used best when they’re telling a story. In this particular case, that story just happens to be told primarily with figures and data as opposed to good, old-fashioned text. Because of this, before you even get into the visual element of your Infographics you’ll need to settle on a thesis statement. What exactly, are you trying to say? What impression do you want the reader to take away when they finally get to the end? The answer to this question will dictate every choice you make moving forward, so it’s an important one to settle on as quickly as possible. Once you’ve settled on the story you’re trying to tell, the next thing to do is to nail down your structure. Think of it a bit like telling a joke – first you introduce the setup, meaning the context that people need to understand what is to come. Then, you expand on that setup and offer the hook – the thing that keeps people interested. Finally, you hit them with the punchline – the surprise at the end of the joke that generates the laugh. If you don’t have these core elements, or if they’re not in the appropriate order, your joke (or in this case, your Infographic) won’t be nearly as successful as you need. Introduce your topic, either by way of a short block of text or by a bold opening fact or figure. Introduce a complication. This is a problem that you’re offering a solution to or an idea that you’re going to be expanding on. Expand on that complication. Your reader should learn WHY this topic is important and should slowly be able to get an idea of WHAT you’re trying to say about it. Finally, the conclusion. This is the period on the end of your sentence that sums up what someone has learned, what they can do with this information and where they can find more if they so choose. All of the data that you collect for your Infographic should be neatly placed within this framework, allowing you to see exactly where a particular point needs to go for maximum effect. If something doesn’t fall in line with these core areas, it probably has no business being on your Infographic at all. 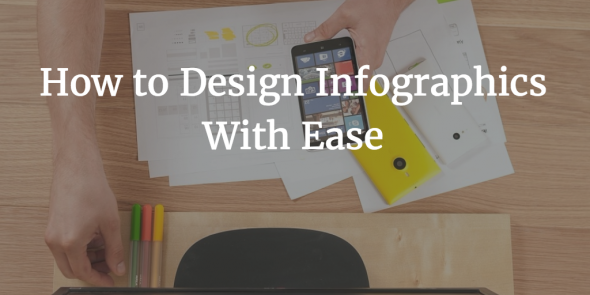 Only once you’ve come this far, you will be ready to actually start designing your ideal Infographic. 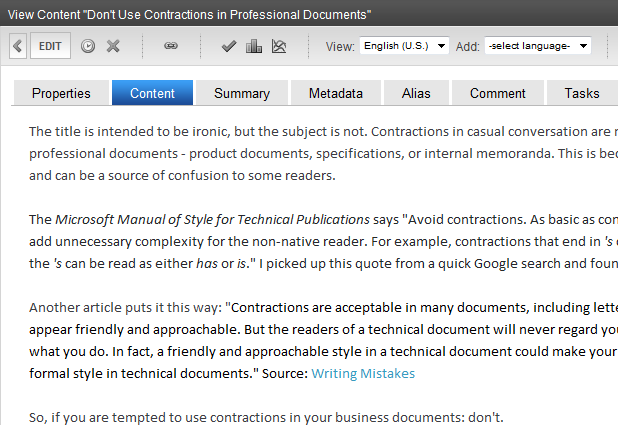 When you reach this point, having a tool like Visme will be very helpful. As an application that was designed to be easily accessible to people without years of graphic design experience, Visme can help you arrange your content in a meaningful, visual way. You can choose from hundreds of templates to give yourself a framework to start out with. You can also experiment with size, shape, typography and more. All of this affects the way a reader experiences data, or how they feel as they move across your Infographic, so don’t be afraid to keep experimenting and making changes until you find the right design elements. Just because you can make an Infographic without a graphic design degree, however, doesn’t mean you can throw out all the tried-but-true rules of visual communication. 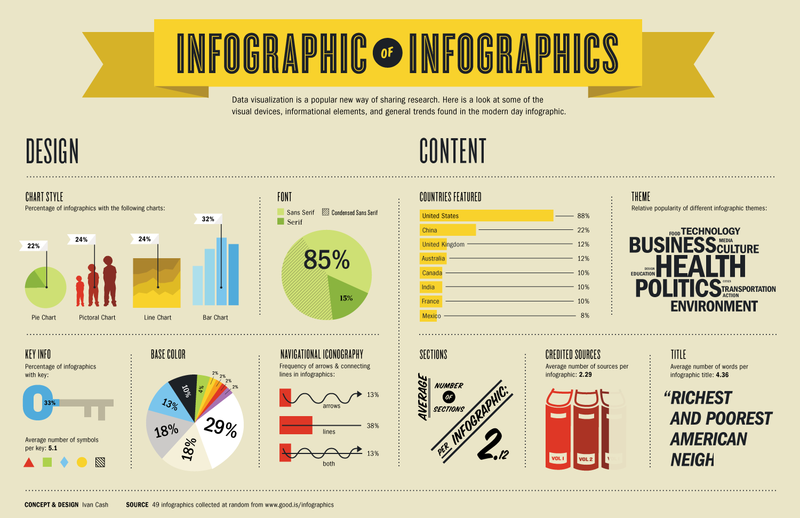 Learning how to design infographics still involve understanding design principles. The data you arrange should naturally flow from top to bottom. These elements should be presented in a way that guides the reader from one point to the next, often without them even realizing you’re in control in the first place. Each data point should build and expand on the one that came before it, eventually leading the reader directly to the beautiful climax (or punch line) that they were after in the first place. This post was written by Payman Taei, founder of Visme, an easy-to-use online tool to create engaging presentations, infographics, and other forms of visual content. He is the founder of HindSite Interactive, an award winning Digital agency specializing in website design, user experience and web app development.